This artwork displays the power of water and why Maui is called the Valley Isle. This artwork displays the power of water and why Maui is called the Valley Isle. We can either go with the flow or follow our own spirit. This image also represents that life will not be easy to travel through at times but it is possible to get through it with faith, strength and believing. 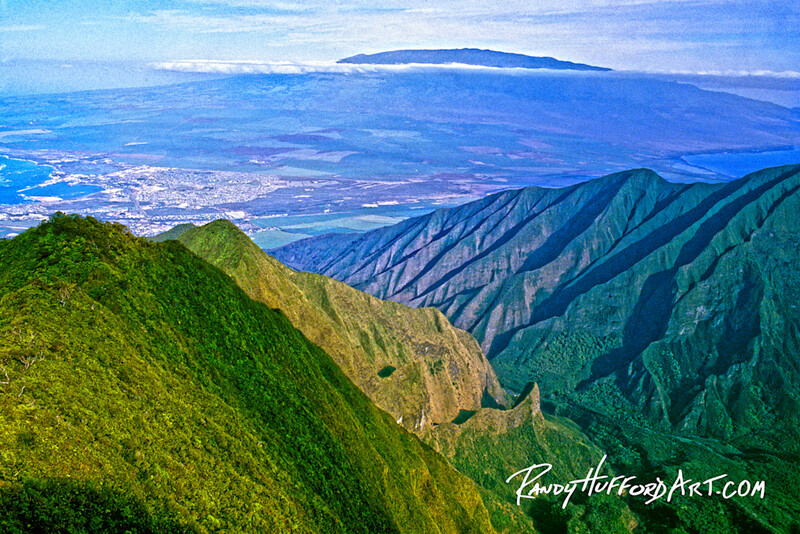 Helicopter aerial view from within the upper west Maui Mountains.